Right now, state regulators are doing something they almost never do: writing their own limit on a chemical contaminant in drinking water. It's called a maximum contaminant level, or MCL. In the past, like most states, New Hampshire has used federal standards as its default MCLs. State regulators say they wrote one other drinking water standard, for the lead-based gasoline additive MTBE, in 2000. Now, the legislature has told the Department of Environmental Services to write an MCL, from scratch, that requires public water systems to routinely test and treat drinking water for four types of likely toxic PFAS chemicals – known as PFOA, PFOS, PFHxS and PFNA. The MCLs will also become the state's new ambient groundwater quality standard for the chemicals, meaning if cleanup will be required if they're found in groundwater at a higher level. Right now, the state uses the federal government's advice of 70 parts per trillion as its groundwater cleanup standard. The state has no formal MCL for PFAS in drinking water. 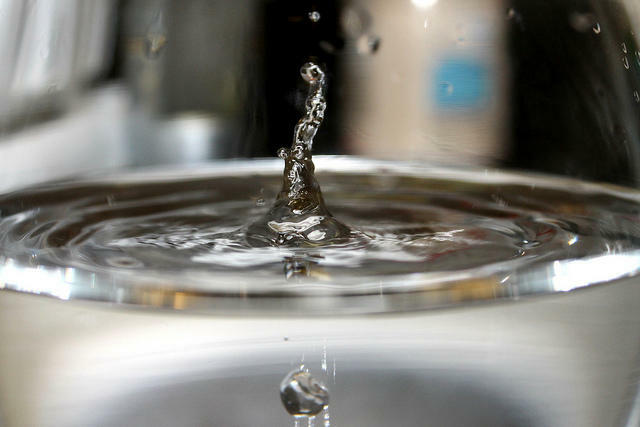 The new MCL is expected to be more stringent than that EPA guidance, and will require costly new testing and treatment protocols for drinking water systems around the state. PFAS, or per- and polyfluoroalkyl substances, were once common in a range of industrial and household products. They have been linked to serious health problems and have contaminated water supplies across the state and country. "It's important to a lot of people for a lot of different reasons, and with a lot of different interests,” says Sarah Pillsbury, the head of DES’s drinking and groundwater bureau. “We need to ... figure out where the right place is to be protective of public health." Her small staff has worked with outside researchers, public water system managers and residents from contaminated areas to gather scientific data that will back up the MCLs. They’re weighing the potential cost of compliance for public water systems, and the potential health benefits and related savings that would come from a stricter standard. The new standard will need to pass muster with the public and the Joint Legislative Committee on Administrative Rules, which will have to approve the MCL before it can go into effect. But the science around PFAS chemicals is still evolving, and not all the data DES needs has been immediately available. DES must finalize a proposed rule for public comment and legislative review in January. CORRECTION: A previous version of this story incorrectly stated that NHDES had never written its own MCL before. They wrote one for MTBE in 2000. The Silent Spring Institute will study how PFAS chemicals affected the health of children in Portsmouth and on Cape Cod. The National Institutes of Health gave Silent Spring $2.6 million for the study. The federal government has published new data about the health risks of industrial chemicals known as PFAS. The Centers for Disease Control study backs the concerns of some residents in contaminated areas here in New Hampshire, who say federal and state limits on PFAS aren't strict enough. Many lawmakers, including New Hampshire’s congressional delegation, called for the study’s release after reports that the White House and Environmental Protection Agency had sought to withhold the data.